Should You Get Married Barefoot or in High Heels during a Beach Wedding? Never judge a person until you’ve walked a mile in her shoes, especially if you are at a beach wedding. A sandy beach can create some challenges if you are in heels. Tiny hills begin to seem mountainous in your journey across the sand, gullies in the sand become cavernous ditches which could eat you alive and heels sink deeply in the sand with every step. So, if you are considering wearing heels at your beach wedding, watch your step. If you can’t live without showcasing that dazzling dress with a gorgeous pair of glistening Jimmy Choo Stilettos, you may want to consider an escorted walk to your aisle. A sturdy arm to hold as you walk across the sand could solve any sand issues. Just make sure that your aisle is solid. If you reach it and let go of that arm, you could be in big trouble if you find your aisle is only a carpet covering the sand. 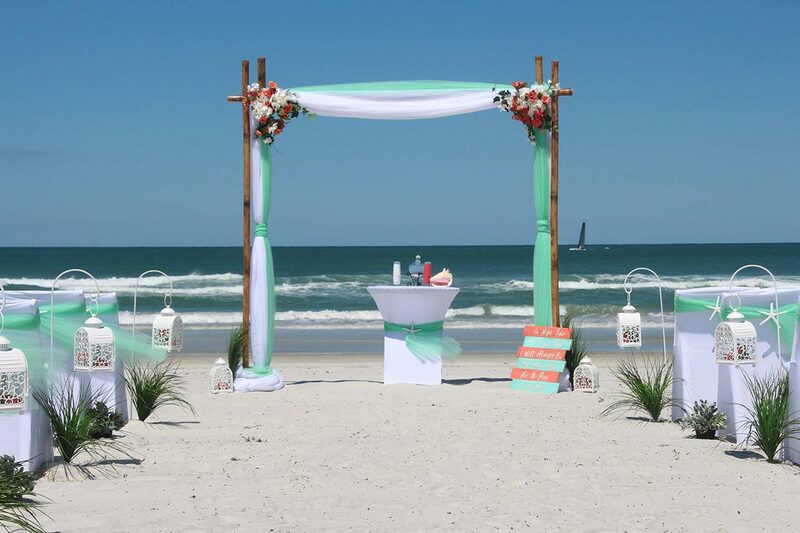 Another option is to be comfortable while you are enjoying the beach portion of your ceremony. Barefoot ceremonies can be beautiful and carefree. If you prefer shoes, sandals come in all shapes and sizes, and can provide an elegant, stunning and safe option for navigating the beach. Finally, if your reception is held at another location – a beachside restaurant, for instance – you can go barefoot or sandal-clad for the beach portion of the program and sport those Jimmy Choos at your reception…where, I might add…they may very possibly remain in better shape (as could you).